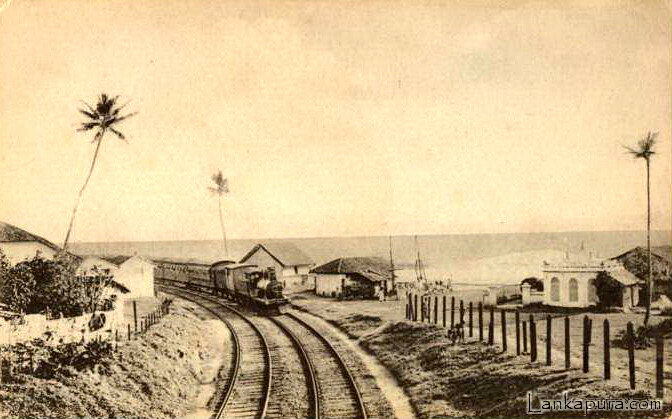 The Sri Lanka Railway, originally known as Ceylon Government Railways, was conceived in the 1850s as an instrument to develop and unify Śrī Lanka. 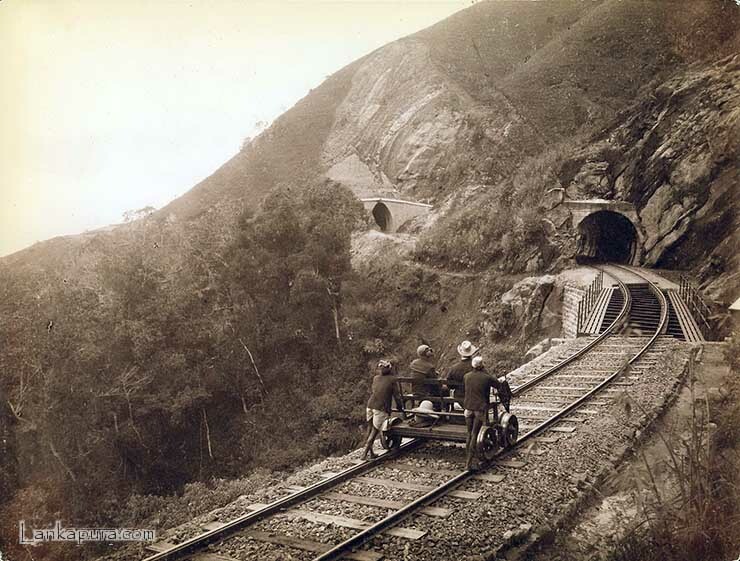 Service began in 1864, with the construction of the Main Line from Colombo to Ambepussa, 54 kilometers to the east. 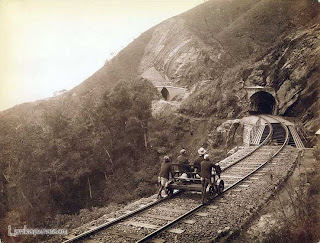 The Railway was initially built in Ceylon then with the intension of transportion of Tea and Coffee from hill country to Colombo. 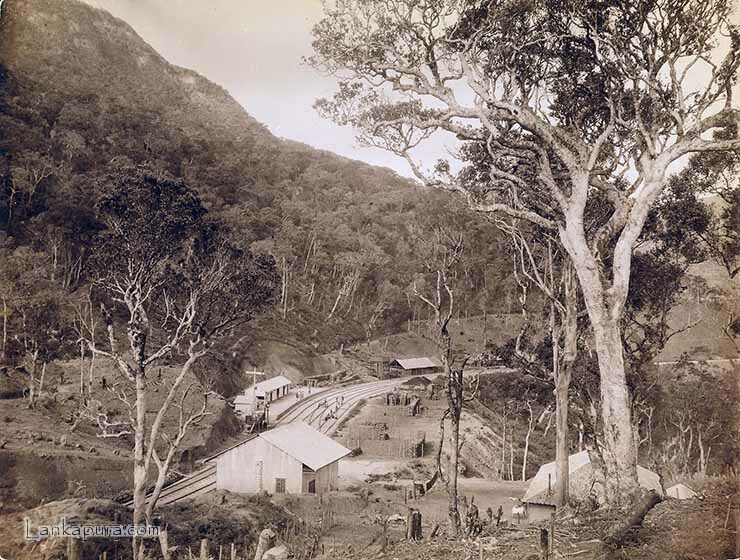 For many years, transporting such goods was the main source of income on the line. With time and population growth, however, passenger traffic increased. In the 1960s, passenger traffic overtook freight as the main source of revenue. The railway is now primarily engaged in the transport of passengers, especially commuters to and from Colombo, thereby reducing road congestion. 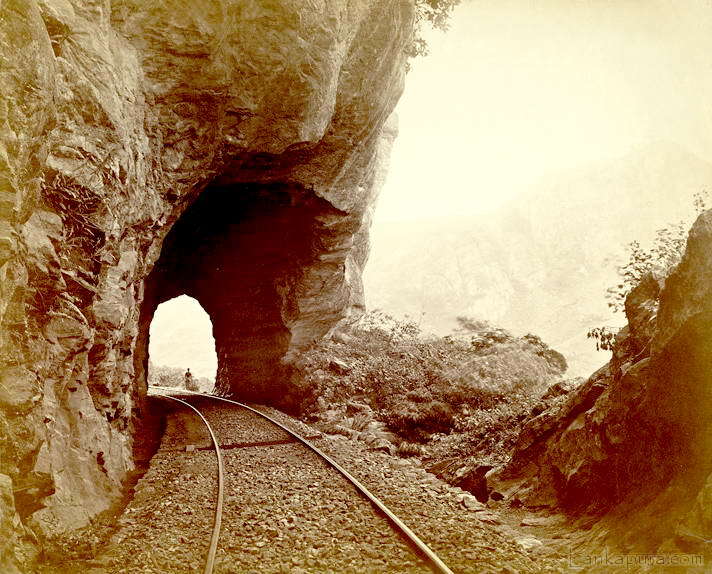 The first train ran on 27 December 1864. 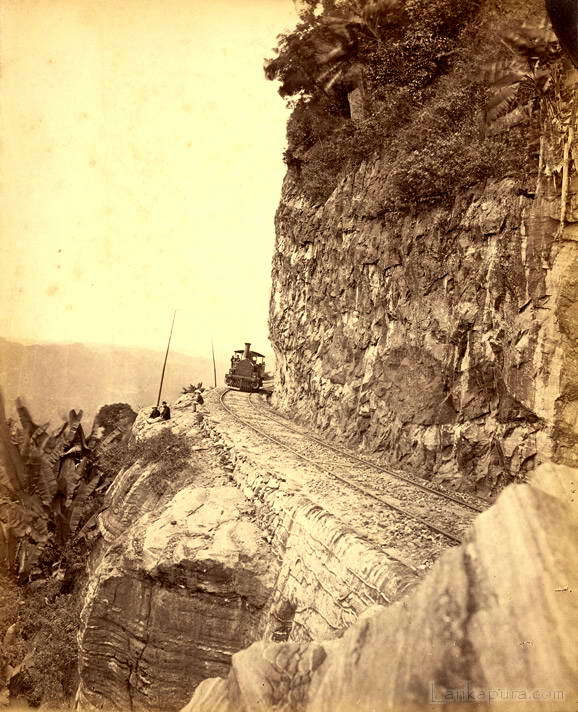 The line was officially opened for traffic on 02 October 1865. 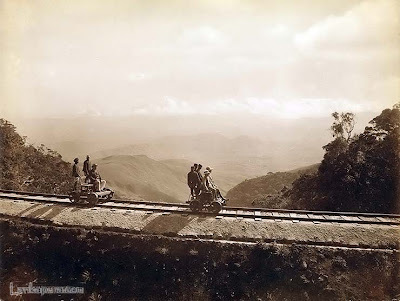 The Main Line was extended in stages with service to Kandy in 1867, to Nawalapitiya in 1874, to Nanu-Oya in 1885, to Bandarawela in 1894, and to Badulla in 1924. Other lines were completed in due course to link the country: the Matale Line in 1880, the Coast Line in 1895, the Northern Line in 1905, the Mannar Line in 1914, the Kelani Valley Line in 1919, the Puttalam Line in 1926, and the Batticaloa and Trincomalee Lines in 1928. Thereafter, no major extends were added to the Sri lankan (Ceylon) Railway Routes as the British left the country for native rule. Class M6 locomotives haul Udarata Menike Train from Badulla to Colombo. 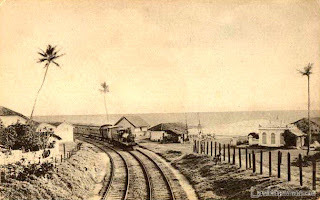 Until 1953, Sri Lankan Railway served with steam locomotives and enhanced its service to more power with diesel locomotives. Various types of diesel locomotives were added to the service. The Railway network comprises nine lines radiating from Colombo, which connect most major population and industrial centers. The Main Line starts from Colombo and runs east and north past the rapidly developing centers of Ragama, Gampaha, Veyangoda, and Polgahawela. 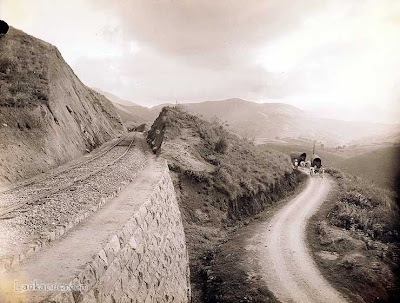 At Rambukkana, the Main Line begins its steep climb into the hills of the upcountry. Between Balana and Kadugannawa, the track clings to the side of sheer cliffs, offering passengers spectacular views of Batalegala (‘Bible’ Rock). The Main Line then continues its climb through the scenic tea country, connecting busy local market centers at Gampola, Nawalapitiya, and Hatton before reaching Nanu-Oya. This is the connection to the former colonial resort of Nuwara-Eliya, which is still popular because of its temperate climate, its many classic hotels, and its British-style gardens. 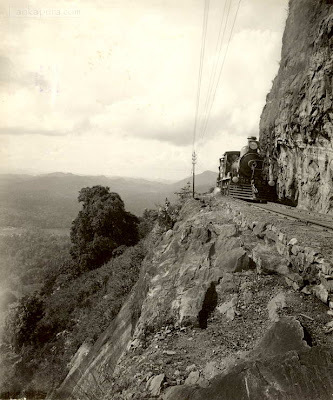 The Main Line continues its ascent to the summit at Pattipola, 6,226 feet above sea level, before descending past Bandarawela to Badulla. In the upcountry, passengers are rewarded with delightful views of tea gardens, mountains and valleys, cascading torrents and waterfalls. 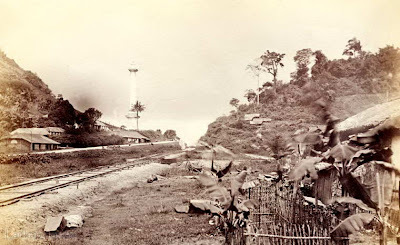 The Matale Line branches off the Main Line at Peradeniya Junction, near the world-famous Peradeniya Botanical Gardens. It connects to Kandy, home of the Śrī Dalada Maligawa, which houses the Sacred Tooth Relic of the Lord Buddha, before descending to Matale. The Coast Line runs south from Colombo, following the edge of the Indian Ocean, and offering passengers views of tropical beaches and coconut palms. This line links the regional towns of Moratuwa, Panadura, and Kalutara South, as well as popular beach resorts at Aluthgama, Ambalangoda, and Hikkaduwa. 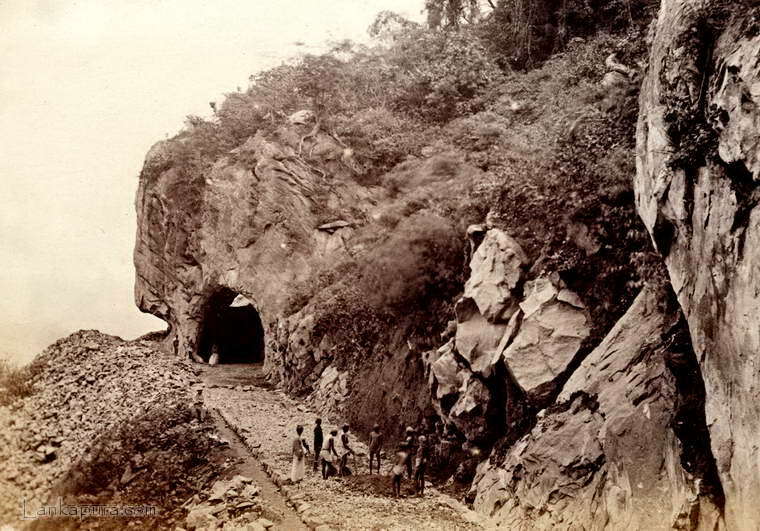 The line continues past Galle, which is famous for its historic and well-preserved Dutch Fort, before terminating at Matara. 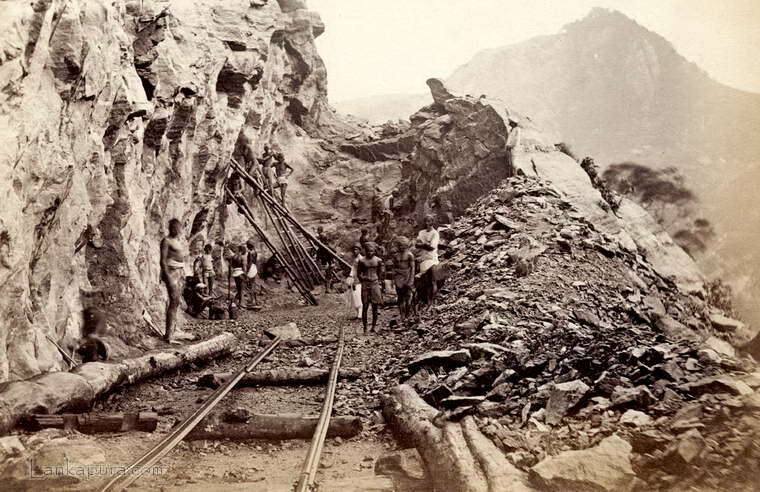 The Kelani Valley Line extends from Colombo south and east to Avissawella. This was originally built as a narrow gauge line and was converted to dual gauge between 1991 and 1997. The Puttalam Line branches off the Main Line at Ragama, extends north past Negombo, an important regional town and tourist centre, and links other busy market towns and fishing villages. 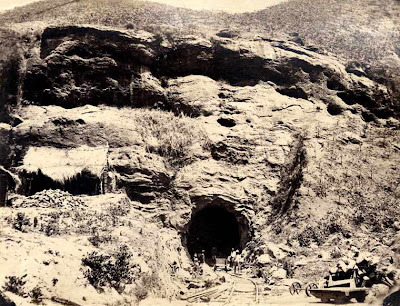 The Northern Line branches northward from the Main Line at Polgahawela, passing Kurunegala, the capital of Wayamba Province, before continuing to the historic cultural and religious centre of Anuradhapura. This city was established in the 4th century B.C. and contains many sites of religious and archaeological interest. Service is now curtailed beyond Vavuniya and on the Mannar Line. The Batticaloa Line branches eastward from the Northern Line at Maho, to Polonnaruwa, site of an ancient capital in the 11th century and home to many historic monuments. The Trincomalee Line branches north and east from the Batticaloa Line at Gal-Oya Junction and extends to Trincomalee.